While most of the broadcast world is just beginning to try out 4K imagery equipment and production techniques, Japan is racing ahead with 8K technology. This imagery has 16 times the resolution of HD and four times the resolution of 4K. Are you ready for this? For those of us with high-definition television sets, just imagining 8K television is a bit overwhelming. At 7,680 by 4,320 pixels — about the equivalent of a 32-megapixel photograph — the resolution of 8K video is 16 times that of standard HDTV and four times that of 4K. It also comes with a 22.2 multichannel sound system. 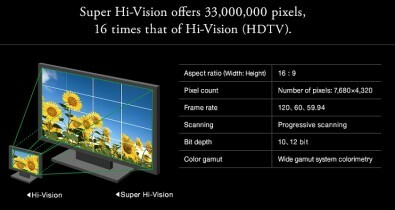 NHK, the Japanese broadcaster, began research and development on 8K television back in 1995. Since then they have spent well over $1 billion on its research and development. At NAB 2015, NHK will be demonstrating a fairly complete 8K television system — from production through transmission to home viewing. 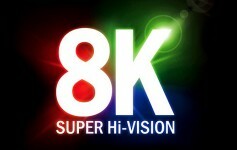 Called Super Hi-Vision, Japan plans 8K test broadcasts in 2016. Regular broadcasting of 8K signals could begin in 2018, according to a roadmap adopted under the Next Generation Television & Broadcasting Promotion Forum (NexTV-F), a Tokyo-based consortium set up last year. The goal is to broadcast the entire 2020 Olympics in Tokyo at 8K resolution. The Japanese 8K production system, while producing incredible images, may prove to be a difficult technology for broadcasters and producers to quickly adopt. NHK uses a variety of major Japanese companies to build prototype gear for its 8K tests. One of those is Hitachi, a manufacturer who has focused on building 8K cameras. 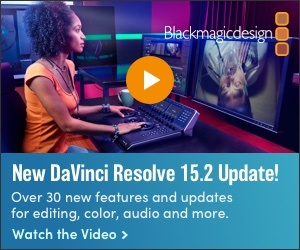 It plans to show a finished production model at NAB 2015. Pricing has not been set. 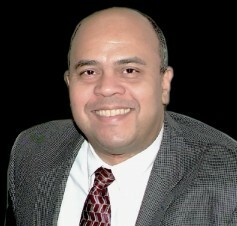 Emilio Aleman, engineering manager for Hitachi Kokusai Electric America. Despite Japan’s bold leap forward into 8K, some broadcasters in the United States are still struggling financially to implement high-definition, while others are grappling with the many complexities of adapting to 4K. Aleman expressed the frustration many American broadcasters feel about the rush of new technology. The Hitachi SK-UHD-8060 8K camera uses a single 33-million pixel CMOS sensor and can transmit simultaneous 8K, 4K and 2K format signals over 40Gbps fiber. It is on display in both the Hitachi and NHK NAB booths. Hitachi’s new SK-UHD-8060 8K camera uses a single 33-million pixel CMOS sensor and can transmit simultaneous 8K, 4K and 2K format signals. It uses 40Gbps fiber optic cable transmission. 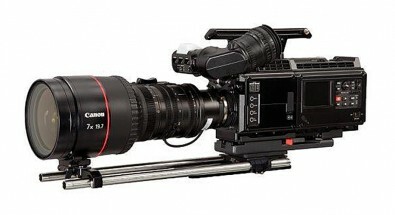 The camera weighs about 13 pounds, draws about 60 watts of power and has a 12-inch 4K viewfinder and 8K RAW SSD video recorder. While Hitachi and other vendors will no doubt have 8K cameras at NAB and NHK will perfect its delivery system, a major question is whether television viewers actually want 8K and will they pay for it. Most broadcasters understood the benefits of investing in HD technology and that viewers would see the improvement. Some broadcasters believe 4K will be similarly adopted. As for 8K, the future is less clear. For most typical viewing distances in homes with popular screen sizes, many TV watchers may not be able to tell the difference between 4K and 8K. Many still think the more important factors than high resolution in delivering the “Wow Factor” to viewers will be frame rate, color and dynamic range. Television sets for 8K tend to be much larger than popular current models. Many range from 85 to 145 inches. These larger sets will be expensive at first and then prices will drop quickly, Aleman said. With the most popular size home set now at 46 inches, will home viewers accept such large displays in their homes? Other products, including quad sound in the 1970s, failed due to equipment deemed too large for home living rooms. The economics of television are also different in Japan than the United States. NHK is funded by the Japanese government and fees are paid by TV users in Japan. U.S. television is a purely commercial enterprise. 8K technology produces a resolution 16 times higher than HD and four times greater than 4K. 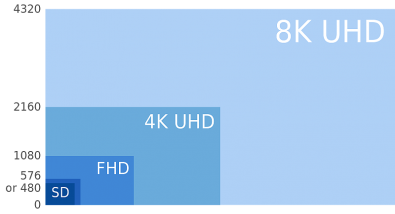 While the solution supports larger screen sizes, there are also other imagery improvements contained in the proposed 8K technology. “8K has four times the picture quality of 4K or 16 times the quality of regular 2K,” said Aleman. “The challenge right now is display size and distance you need to be away from your TV set to experience that sense of reality that it can convey. For this reason, perhaps, Aleman believes 8K will initially have many industrial applications outside the home. These include digital cinema or high-quality remote viewing for groups as a key early application. “Where you need to send a sense of reality to a remote location will be a major use. That’s number one,” he said. There are also many applications in the medical and scientific fields. Studies are already predicting the use of 8K in pathology and surgery. “And finally, 8K will be used for television production for those who want to produce the utmost in quality for digital archives of programs of value for future generations,” Aleman said.